You are at: Home / Agora / What next for Greece's revenues and spending? What next for Greece's revenues and spending? With a bank holiday and capital controls in effect since June 29 and the government tabling an updated set of fiscal measures in an effort to resume negotiations for a new bailout programme, the state’s cash proceeds and expenses are in the spotlight again. Following a shortfall of 968 million euros in January, revenues recovered in the succeeding three months. This was mainly driven by increased revenue collectibility in March and April and supported by the new settlement of tax arrears, as well as extraordinary revenues of 556 million from the Hellenic Financial Stability Fund (HFSF) in March. As a result, the final outcome for the 4-month period was slightly above the target. However, budget revenues in May fell short of the target by 1.05 billion euros, with Finance Ministry noting that this gap was - to a large extent – attributed to the delay in the payment of corporate income tax (555 million) and not receiving ANFA income (132 million). These two items make up two-thirds of revenue underperformance in May. Overall, revenues (before tax refunds) reached almost 18 billion euros in the 5-month period, falling short of target by 978 million or 5.2 percent. The target for revenues in June is 3.53 billion euros. It includes corporate income tax (CIT) of around 300 million and ANFA income of 132 million. Due to a further delay in the payment of CIT until July 20 and the absence of ANFA income, the actual figure for June may miss the target by more than 400 million. Initial estimates were pointing to a higher shortfall in June as the last two days of the month, when a large number of taxpayers usually pays the monthly tax obligations, coincided with the imposition of capital controls and banks closing. However, the latest expectations do not rule out a positive surprise since a number of taxpayers preferred to pay their taxes in advance to lower their deposit balances amid rumors of a potential haircut on deposits in the near future. 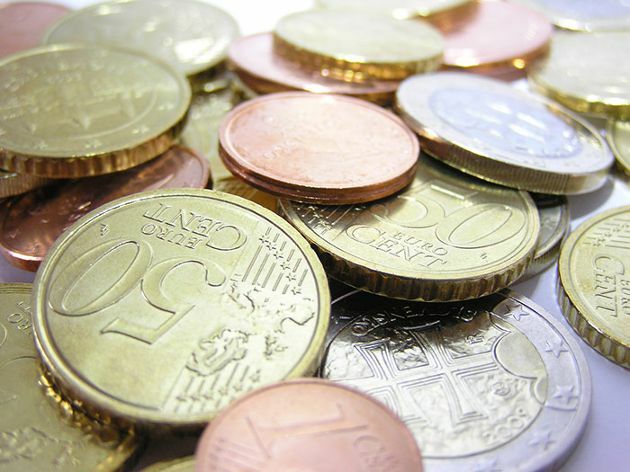 For July, the 2015 budget projected much higher revenues of 6.43 billion euros. This is due to the inclusion of more than 700 million from the real estate property tax (ENFIA), the first instalment of personal income tax (with incremental revenues of more than 800 million compared to the regular monthly figure) and the third instalment of CIT. On top of that, the July target includes ANFA income of 1.5 billion. The government has not yet clarified when the ENFIA for this year will be paid, but certainly it would not be within July. In addition, the ANFA income would be received only when the government reaches an agreement for a new bailout program, meaning that more than 2.2 billion euros of the revenues budgeted for July are in doubt. The other key budget item is primary expenditure. Data shows that spending on wages and pensions was on target during the first five months of the year. In contrast, the actual figure for grants to the social security sector reached 5.07 billion euros in the 5-month period, which is 621 billion or 10.9 percent lower than target. Note, though, that grants to social security funds (that account for the bulk of these payments) in the 5-month period correspond to 41.3 percent of the annual target of 11.31 billion. This means that they are proportionally in line with the annual target. Overall, the actual figure of primary expenditure stood at 15.65 billion euros in the 5-month period, 1.67 billion or around 10 percent below target. More than 60 percent of this under-spending relates to other expenses and the remainder to lower grants for the social security system. The government has to pay nearly 800 million euros in civil servants' wages in July. This will be split into two equal payments on July 13 and July 27. Starting from July 28, the state is also due to pay the monthly pensions. The total pension cost stands close to 2.35 billion per month, with budget contribution for public sector pensions at around 800 million. The remaining part of 1.55 billion is covered by the bulk of grants to social security funds their own proceeds from social security contributions. Given the naked aggression exhibited by euro terrorist in suffocating the Greek economy, I would say that the government has done remarkably well so far.